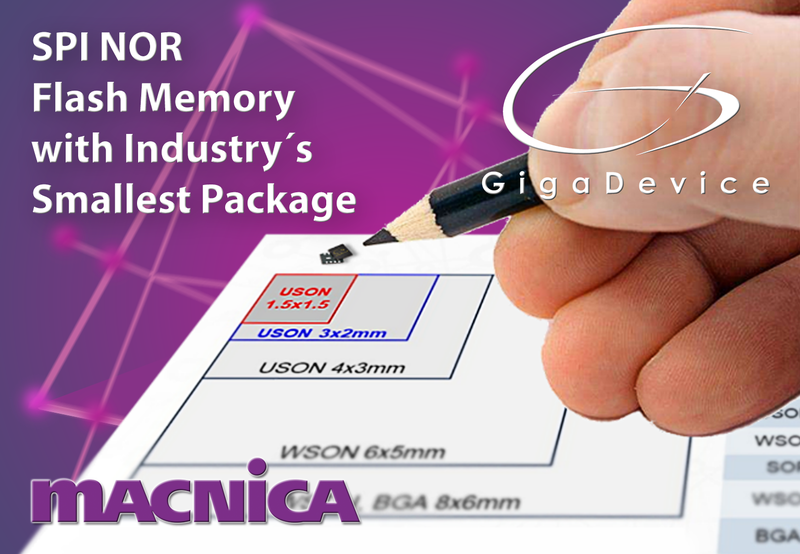 Beijing, China (January 24, 2019) – GigaDevice, a leading provider of non-volatile memory and 32-bit microcontroller solutions, today announced the mass production status for the new SPI NOR Flash series, GD25WDxxCK. This new product family is designed with reduced power consumption under 1.65V to 3.6V supply voltage, and encapsulated in the industry’s smallest 1.5mm x 1.5mm USON8 molding type packages. As an effective complement to GigaDevice’s market proven 1.8V, 2.5V, and 3.0V SPI NOR Flash product lines, the new wide voltage range and ultra-small form factor product series further enriches GigaDevice’s Flash Memory product port-folio, offering excellent design capability and flexibility for the IoT, wearable, con-sumer and healthcare applications that demand longer battery life and compact phys-ical dimensions. GD25WDxxCK products are available now for customers to order. GigaDevice Semiconductor (Beijing) Inc., founded in Beijing in 2005, is a leading fa-bless semiconductor company engaged in advanced memory technology and IC solu-tions. GigaDevice provides a wide range of high performance Flash Memory and 32-bit general-purpose MCU products. It is among the companies that pioneered SPI NOR Flash Memory and have powered up more than 10 Billion electronic devices in the world since 2010. The company is publicly traded on the Shanghai Stock Ex-change since August 2016. For more information, please visit: www.gigadevice.com.